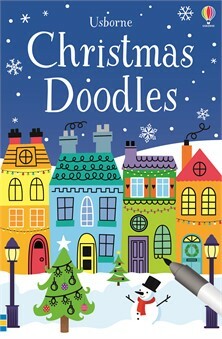 A festive, write-in activity book full of Christmassy scenes to doodle, colour and decorate. Children will love designing patterns on baubles, drawing presents under the tree and adding buttons, boots and a belt to Santa Claus’ clothes. Great for keeping kids entertained during the Christmas holiday period. Christmas Doodles keep kids busy and happy for hours! These cards are a wonderful creative activity that keep kids busy for hours! We get tend to go through a lot of doodle paper at our house and this is the perfect solution. We love wiping them clean and doing the doodle again.